Life insurance is one of the most important insurance policies, but it is also one of the most overlooked policies. A life insurance policy is the best way to make sure that your loved ones have a financial cushion when you are gone. 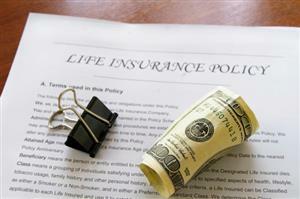 Consider these tips to help save money on your life insurance policy. Choose the right policy. There are many different types of life insurance, some that have lower premiums than others. Term life insurance policies tend to be less expensive than whole life policies, but they only provide coverage for a certain amount of time. Make sure that you choose the right policy that will best benefit your family when you are gone. Get the right amount of coverage. The biggest factor of premium price for life insurance policies is the amount of coverage that you have. If you are looking for a policy that will only cover the cost of your funeral, you will be able to invest in a much smaller policy which will help save money. However, make sure that you do not invest in a policy that is too small and will not be able to provide for your loved ones when you are gone. Invest early. Life insurance policies are less expensive when you invest in them when you are young and healthy. The earlier you invest in a policy, the cheaper the premiums will be throughout the entire life of the policy. Compare. Working with an independent insurance agent is the best way to compare policies from different insurance providers to ensure that you are getting the best price. For all of your life insurance needs throughout Texas, contact the insurance experts at Pierce Insurance Group in McKinney. We will work with you to make sure that you have the best life insurance policy that meets all of your needs.